Two persons have been arrested by the Woodbury Police Department in connection with an armed robbery at the Cash Express on Main St. on Aug. 6. A third suspect, the purported gunmen, is still being sought in connection with the crime. The two arrested are Joetavious M. Randolph, 18, and Thor L. Coleman, 21, both of Murfreesboro. Coleman was allegedly the driver of the car used in the robbery, while Randolph was a passenger. Warrants are active for the subject who allegedly entered Cash Express and committed the robbery while holding the cashier at gunpoint. Chief Mooneyham also expressed his gratitude to the members of the Murfreesboro Police Dept. who have assisted in the case. When the third subject is arrested his name will be released. Coleman is being held at this time at the Rutherford County Jail on an unrelated charge. 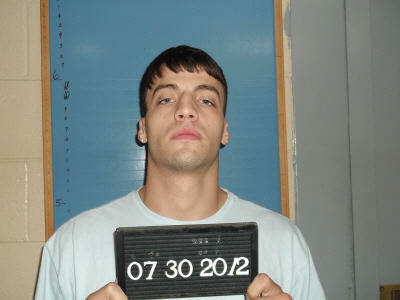 Randolph posted a $50,000 bond and was released from the Cannon County Jail. His court date is Oct. 9. It is believed that all three suspects are members of the Grape Street Crips gang, which operates out of the Los Angles area of Southern California.